This week your correspondent is still Greg even though Harry tried his best to steal my title from me. It was a glorious October day, the sun shining. The heat reflecting on our black shirts caused some pre match sweating. Aside from this there was the usual banter. This one time, in Blake’s bed... oh wait sorry it’s just a disappointing end. The match began and we started well. Some eh ‘persistent’ shooting from Colin opened the scoring, followed quickly by a debut 3s goal for Seb. Moments later, Colin doubled his tally with another stunning finish. At this point the defence had the sun loungers out and even coach Dan seemed to be smiling. Barnes started playing better and we decided to play some terrible hockey, much to coach Dan’s disappointment. A goal was gifted to Barnes making it 3-1 but this only allowed Eds to pull the finger back out the bum and go immediately on the attack with Colin completing his first half Hattrick. A fantastic achievement and a shoe in for MOM? Half time chat came, Dan was still unhappy with the 15 minute period. He was especially unhappy at young Greg being missing at Reich back however this surprisingly wasn’t why he got DOD... again. Second half and this was Eds at their finest. A true showing of 35 minutes of fast simple hockey. 7 goals were scored and here is how it went. Lastly in the dying seconds of this match, Greg shouted at Marc P to move out the way before taking 5 minutes to get to the ball and smashing it into the near corner. 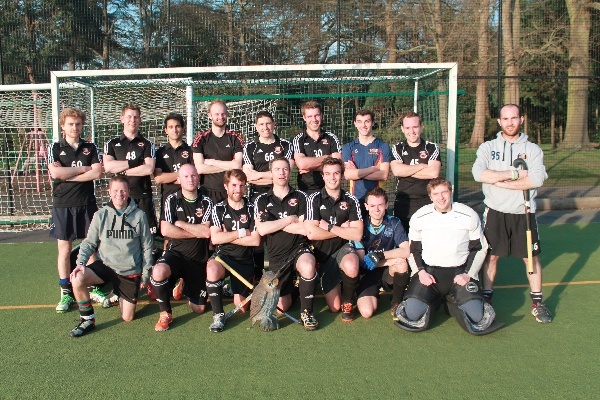 A great game of hockey where for 60 minutes, Eds played 4 levels above Barnes. Next week see’s an away trip to Old Reigatians and lets be honest it’ll be me writing it again, so until next week!